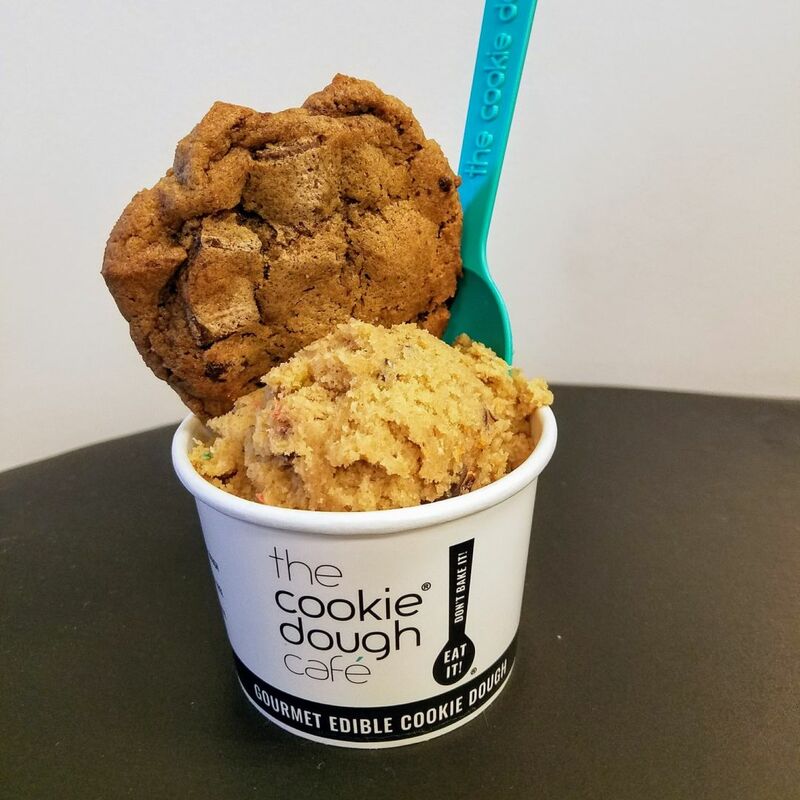 The Cookie Dough Cafe's first brick-and-mortar scoop shop in the Pearl District boasts gourmet Monster cookie dough adorned with fully baked chocolate chippers. 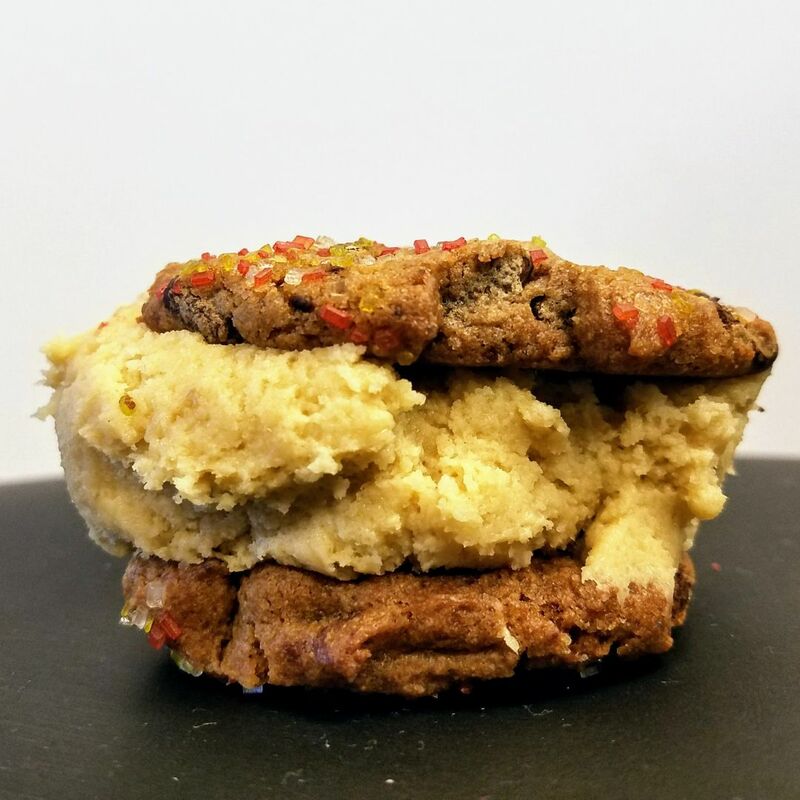 The brainchild of a pair of Midwestern sisters who hawked the concept of gourmet edible cookie dough (ya eat it, not bake it) on a 2014 episode of Shark Tank, the Cookie Dough Cafe is a bit of a take-home hit—it sells its wares by the pint in supermarkets across the nation, from Market of Choice and Key Foods to Walmart. 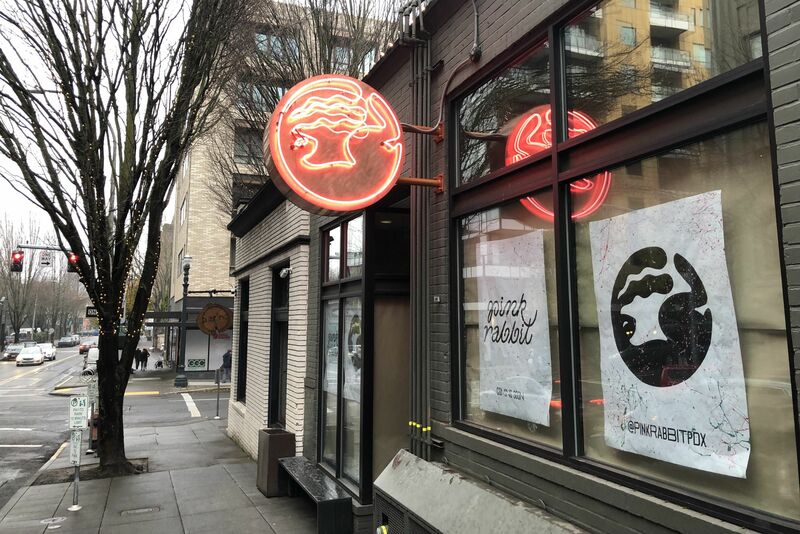 In early November, the CDC opened its first brick-and-mortar “scoop shop” in Portland’s Pearl District, a spartan white chamber with around eight flavors of spoon candy—think chocolate chip, gluten-free oatmeal, Oreo, and sprinkle-studded sugar cookie. 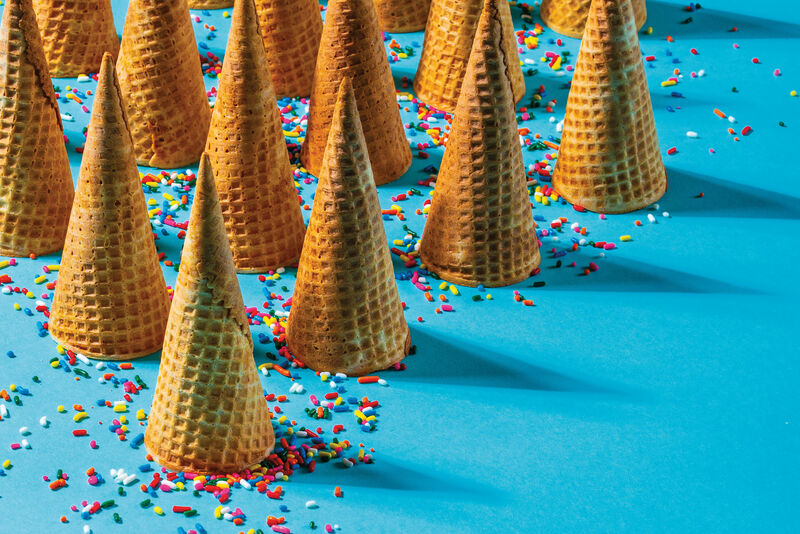 The cafe serves generous orbs of dough scooped into cups ($3.50–9), dough paired with waffle wafers ($8), and even dough sandwiched between discs of overachieving dough (aka cookie dough sandwiches, $6). You can get it by the pint too, for $8—but you might die if you ate all that. The Cookie Dough Cafe's Sweet Sandwich: Sprinkle chocolate chippers with snickerdoodle dough. The verdict? Sadly, the silly concept is better than the staid execution so far: overly soft doughs with the texture of whipped frosting and sharply salty or bland flavors. It’s just not good enough to justify the indulgence. If you’re going to spackle your stomach with a month’s worth of butter and sugar in one go, it better be frickin’ amazing. That chocolate chip dough is dull and white sugary with a waxy chocolate aftertaste; the snickerdoodle overwhelmingly creamy and with little cinnamon bite. The Oreo actually tasted like crushed-up Oreos, so good on them. And the baked cookies they sell? They’re unpleasantly sweet and a bit tough. Biting through a whole sandwich of this stuff is not fun. The mostly young and overwhelmingly female customers who populated the counter stools at the CDC during our visit seem fine with these snoozy sugar bombs (a CDC gift card would make a solid present for a sweet-fiending high schooler), but I made a dozen game PoMo staffers dig into a CDC to-go order and they unanimously found that one spoonful—and one spoonful alone—was plenty. 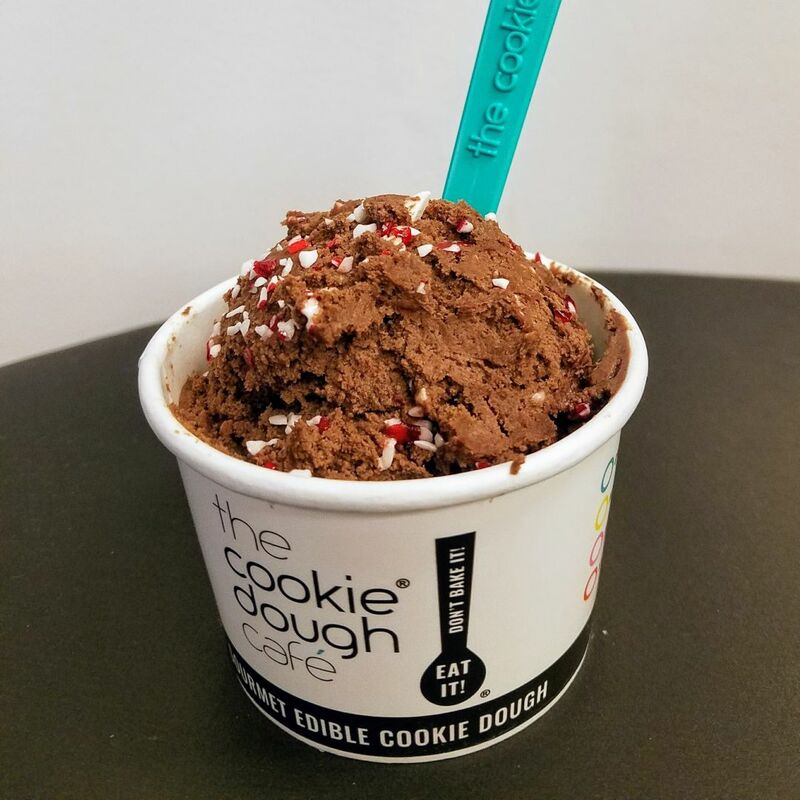 The Cookie Dough Cafe's vegan brownie batter dough with peppermint bits—a shop favorite (and PoMo fave too). 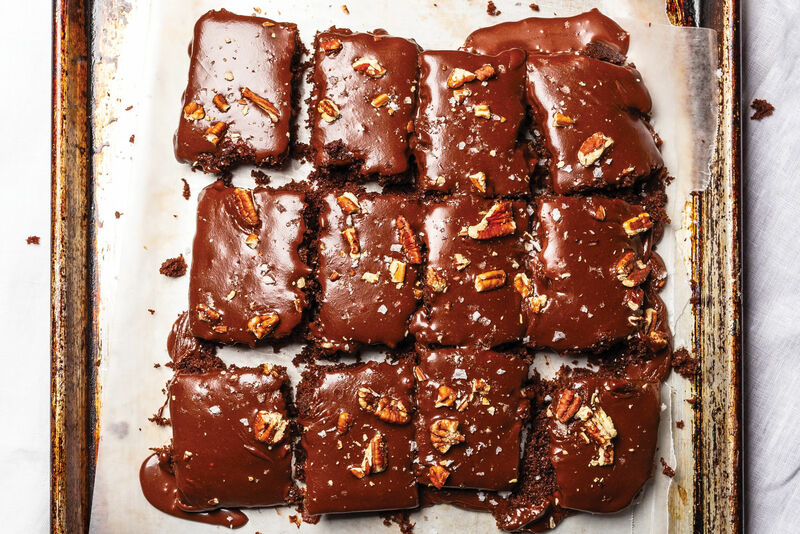 “Is this frosting with chunky bits?” asked one staffer. 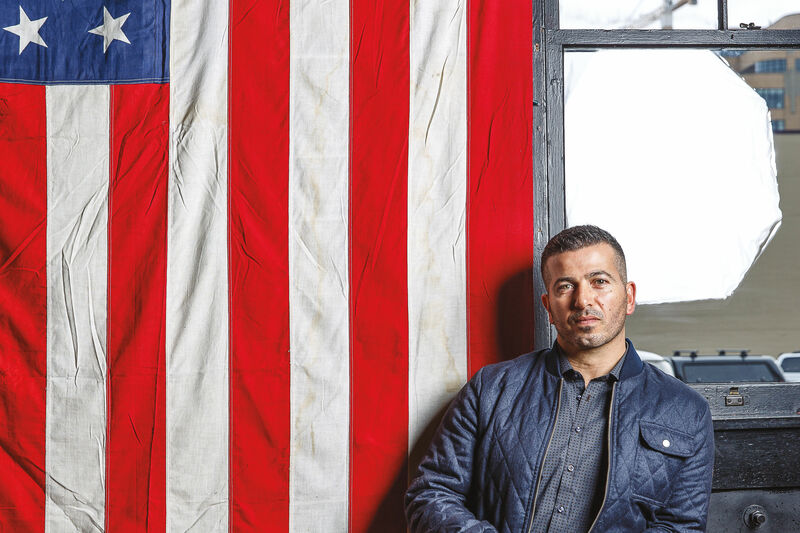 “My stomach is clenching up,” reported another. “This [oatmeal and M&M Monster cookie dough] tastes like when you’re backpacking and you put a bunch of peanut butter in your oatmeal…because you just need the calories and have to get through the day.” “I think the vegan brownie batter is the best,” weighed in a more hopeful eater. “It tastes like bad vacation fudge—in a good way.” “This cookie dough is worse than the new tax plan,” quipped another.